Andy Wilson is a Lieutenant with the Lenoir Police Department located in the Foothills of North Carolina. He has twelve years of Law Enforcement experience and currently Commands the C Platoon of his agency. This platoon of officers encompasses the Traffic Unit, School Resource Officers, Community Resource Officer and Downtown District Officer. Andy is a Certified General Law Enforcement Instructor as well as a Specialized Instructor in Subject Control. 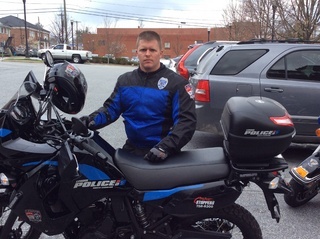 Andy completed the Motor Officer Certification through the North Carolina Highway Patrol and is currently tasked with utilizing his Departments motor unit for specialized enforcement and activities.